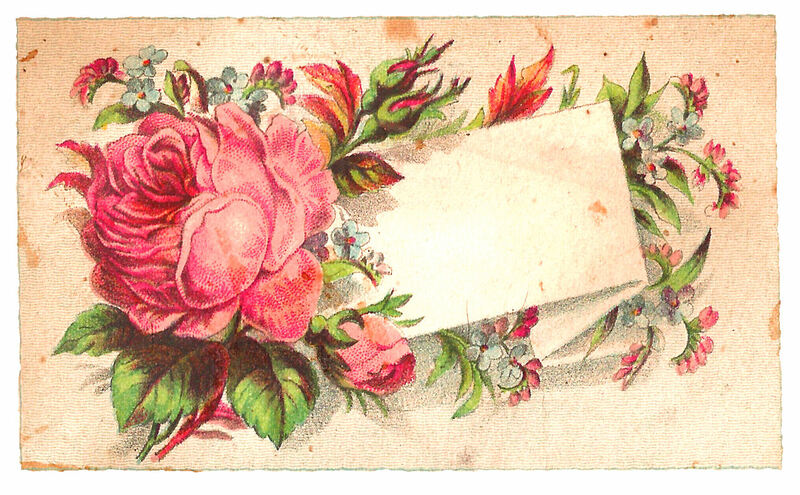 This is a beautifully distressed digital pink rose label design I created from a Victorian scrap card. I love the aged stains, the discoloring, and the worn look of this pretty blank rose label. That huge, pink rose is so stunning surrounded by the antiqued smudges and stains. It's just so charming! I hope you enjoy this blank rose label download for any of your projects! You're welcome, Jenny! Thanks! I love the soft shades. They make this image really incredible. Thanks for the lovely image!